Faced with decreasing revenue from lower enrollments, an evolving business model and an increased focus on student outcomes, the University of Maryland University College created a new Office of Analytics and kick-started data-driven decision-making on campus. The University of Maryland University College, one of the largest distance learning institutions in the world, has long been an innovator in business intelligence and data warehousing. In fact, the platform it invested in building over several years proved so valuable to its own administrators that the university recently spun out its Office of Analytics into a startup company — HelioCampus — that provides both a business intelligence platform and data analysis services. UMUC enrolls more than 85,000 students worldwide. Most classes are taught either online or in hybrid format. 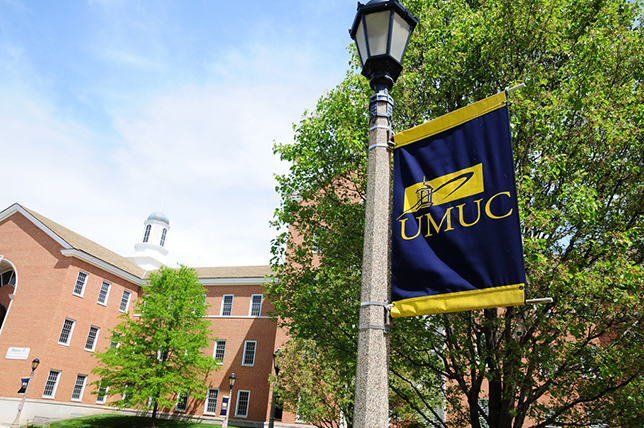 In 2012, like many of its online learning peers, UMUC experienced enrollment volatility. (A large percentage of its enrollees are active-duty military, family or veterans, and the federal government shutdown impacted that population.) Among the challenges the institution faced: decreasing revenue from lower enrollments, an evolving business model and an increased focus on student outcomes. In response, it created a new, centralized Office of Analytics, tasked with leveraging the university's data to enhance decision-making on campus. "We aimed to build a flexible platform that could answer many of the business questions that the university had," said Darren Catalano, UMUC's former vice president of analytics and now CEO of HelioCampus. "We needed to get information to the state and federal government and the University System of Maryland. We wanted to build a system where we could easily and in a timely manner answer the questions that the administration, faculty and other stakeholders had." By integrating the BI platform with the student information system, learning management system, financial records and advising systems, UMUC administrators aimed to understand the connections between tuition revenue, enrollment data and outcome data. When he first arrived at UMUC five years ago, Catalano considered recommending the purchase of a commercial business intelligence solution. "But when I looked at the vendors, I was underwhelmed," he said. "There was nothing I saw that could help us, so we ended up building it out ourselves." That decision has led to what is now HelioCampus. "We are taking what we built at UMUC and productizing it for the market," he said. "It is a preconfigured data platform that we combine with services from our data analysts and scientists. It took us five years and more than $10 million to get to where we are today. With HelioCampus, we offer that to universities at a fraction of the time and cost. Our implementations run around six months and can be done faster." HelioCampus enables the analytics team to provide services that include student metrics dashboards, operational reporting, variance analyses, predictive applications, forecast modeling and ad-hoc reporting. The system relies on the Amazon Web Services Cloud to host, process and deliver the data analytics services. It was built using open source tools to extract and compile data, including Python and R for building out statistical and predictive models. HelioCampus uses Tableau for front-end dashboard delivery and ad-hoc analysis, and the team is also experimenting with embedding D3 visualizations into dashboards. Pete Young, senior vice president of analytics, planning and technology at UMUC, stressed the iterative nature of the university's investment. "We are on the fourth-generation product now. We gradually built the team and capabilities." The team first made a request for a modest investment and showed significant wins for the money, he said. That whetted the appetites of senior executives and showed what was possible. One example of an early win was moving away from operational reporting and starting to build visual dashboards that rolled up the data and showed administrators overall trends, such as which metrics were declining or stubbornly flat. "That helped us start conversations at the university that they never had before," Catalano said. "I call it the lights-on effect. They don't know what they don't know until you turn on the lights. Just aggregating data in a simple visual way facilitated meaningful conversations. We provided valuable commentary as an independent actor on campus, regarding enrollment and retention trends and strategy." To deal with enrollment volatility, they worked with the chief financial officer to put together a five-year financial forecast that identified the drivers and trends in enrollment. "They had trust in the data and in us," Catalano said. "The university took evasive maneuvers to offset that trajectory, and two years later we were back in a positive state." "After we weathered those two years of enrollment volatility and pivoted back to growth, we had a challenge from our president to diversify our revenue and reduce our risk because we are very tuition-driven," Young added. In October 2014, he and Catalano approached the executive committee with the idea for HelioCampus. "By September 2015, we were in front of the Board of Regents securing approval to spin out our Office of Analytics and invest $10 million of state-supported budget into this new venture, which was an unprecedented move," Young said. After doing market research, validating the premise and creating a business plan, in January 2016 they launched the company and converted the office's employees to HelioCampus employees. The new company, which has a staff of about 20, offers a SaaS platform and supporting data analysis services to deliver the solution developed for UMUC to other institutions across the country. UMUC now contracts with HelioCampus to get the same services it was getting before, as well as enhance and build new capabilities. "UMUC is customer No. 1, but also the driver for research and development because we are probably more advanced than most of higher education," Young said. "So we will keep pushing the envelope and demanding new innovations out of HelioCampus, which all the other customers can benefit from."